Contributions to OzFootball's Australian Club Database can be directed to Paul Mavroudis. Since the last work in progress update, a number of tasks have been attempted, some completed, others always a work of progress. Firstly, all A-League sides now have a page. I have done fair a bit of work on Victorian club backlogs, with particular focus on the lower divisions spanning 1978-1981, though 1979 remains a problem. Backlog work has also been done on seasons 1964 and 1959, and the recent discovery of three tables from 1953 and 1954 has also helped fill in some valuable gaps. I have also created and uploaded pages for clubs from northern New South Wales. At present these give out merely finishing positions, without minor premier, finalist and champion details, but these will be added soon I hope, along with tables for 2006 and 2007, which will take a while longer. The unfinished tasks that I mentioned in the previous update still remain, with the addition of South Melbourne match histories and player rosters (a personal project), and Green Gully players rosters and possible match histories, thanks to my obtaining a copy of Peter Desira's Green Gully book. One thing I was happy to get done was filling in all the gaps for the Collingwood Warriors, with their team roster and match results uploaded. If any people out there have basic html skills, and would like to help compile match result and player pages please do not hesitate to get in contact with me. Before getting into the update details specifically, I'd like to start by introducing myself. My name is Paul Mavroudis, 24, first year university student, South Melbourne supporter, Altona East fan, lover of the game in general. After seeing this section sitting idle for a while after what I learnt later was previous editor/chief of this section (and a lot besides) Tony Persoglia's departure, and having had about a years experience mucking around on Wikipedia, I decided this was another way I could give back to the game, and to the site I used frequently as resource for my Wikipedia work. I began in March 2007, by updating the 2005 and 2006 Victorian club divisional histories, these being my main area of interest, as well as the only ones I could readily and quickly update to the present. In November 2007, I was granted access to upload files to the site myself, and thus completed most current clubs 2007 season divisional histories, as well as started working on name changes, new pages etc. In the short term, I want to do as much backlog work on divisional histories, club name changes etc., in regards to Victorian clubs as I can. Following this I am seeking to create pages for the A-League clubs. In the medium term/continuously, I would like to work on filling in the details of clubs from regional NSW and Victoria who perhaps only participated briefly in the state-wide competitions, but who continued on and continue to exist playing in regional leagues.  In the medium to longer term, I would love to update the details of the Western Australian leagues, as the information is available on other sites and would be relatively easy to transfer. This would lead to being able to update Western Australian club divisional histories as well. In the longer term, circumstances permitting, i would hope the league systems of the ACT, NSW, Queensland, Tasmania and South Australia were also updated, so those clubs could also have their divisional histories updated. At this stage, I have little to no plan to update player details/stats, match result tables, squad lists, ladder progressions etc. The sheer amount of work Tony did was incredible, and considering myself barely a novice in comparison, I'm looking to take baby steps first and hoping to gather pace and help along the way. Lastly for now, a big thankyou to John Punshon who does a tremendous amount of work, and who became my first contact on starting here, and always answers questions with a smile; to team leader Thomas Esamie, who was my intemediary when I uploaded items in the beginning and was good enough to let me go on full time so to speak; and to all past and present OzFootball contributors who have put in so much time and effort to preserve our footballing history, but in particular to a man I have never met but through his work here, Tony Persoglia, the sheer amount of information and content he has created is overwhelming. Hopefully I can contribute in a meaningful way to what he has started. If people out there have any queries or are keen to help, please do not hesitate to contact me, I will try my best to accomodate you. And to those working on Wikipedia:WikiProject Football (soccer) in Australia, keep up the good work, and I hope that one day your efforts can be incorporated into this site. After much effort, this club archive can now lay claim to having divisional records documented for over 870 clubs in Australia. Many of these records are incomplete, and the number of clubs is sure to grow as information for states such as Queensland, Tasmania and the ACT is gathered. Not to mention the extended history of South Australia, or some of the regional areas in Victoria and New South Wales, once these areas are exposed, the number of clubs will grow to well over 1,500. Attention is diverted once again to Victorian club records dating back to 1987, where seasonal match results and missing league progressions will be incorporated into existing records. The sheer volume of information from this period will ensure that this is a lengthy process, but I hope to have this completed come the end of the year. Much of the work planned for the Victorian leagues in June and July has been put on hold in favour of including more depth in the archive. This has involved delving through end of season tables from selected states and creating a comprehensive historical archive, resulting in an ordered and redesigned club index, complete with club numbers and states of origin. States that have been covered in detail are Victoria, New South Wales, Tasmania and Queensland. Expect South Australia, Western Australia and the ACT to follow. Given the difficulty in finding information for states such as Tasmania and Queensland, any help in filling the gaps for these leagues would be greatly appreciated. I am particularly interested in gaining an insight into clubs that have merged through the course of time. What I aim to have up and running come the end of the year are divisional histories for all clubs listed in the archive, over 870 in total. Victoria: There is now a complete set of league progressions for all clubs involved in Victorian Premier, State and Provisional Leagues from 2000 to 2003, and Victorian Premier and State Leagues from 1992 to 1999. It is expected that league progressions for all clubs involved in the Victorian Provisional Leagues from 1992 to 1999 will be completed some time in July 2004. My focus also turns to compiling a match results archive for Victorian clubs. At the moment, these only exist for the Victorian Premier League, but I endeavour to supplement the competitions outlined above with a set of match results for each club. This is expected to be completed at the conclusion of June 2004. John Punshon has recently began working his way back through seasons 1991, 1990 and 1989, despite the difficulties associated with gathering information from this period. If anyone can provide any information regarding matches played during or before 1991, please direct them to either John or myself. Victoria: The archive for the Victorian Premier League is now complete, with playing rosters, match results and league progressions available for all clubs involved in the top flight from 1991 to 2003. Note that all playing rosters are navigable from each club's main page. Match results and league progressions can be accessed from each club's divisional history. With the VPL initiative now complete, my focus turns to the Victorian State and Provisional Leagues, where I hope to compile match results and league progressions for all clubs involved dating back to 1993. This will also involve the creation of a goalscorer's archive, which will aid in filling in large sections of the Australian Player Database. With as many as ten divisions involved for some seasons, expect this part of the archive to develop slowly. My aim is to have this initiative completed by the end of May 2004. Victoria: My first initiative in developing this archive is to deliver a complete record for Victorian clubs dating back to 1991. VPL records have been included for all clubs involved in the 1991-1993 seasons. The aim is to have VPL records for 1994-2003 uploaded by the end of February 2004. Thanks to Sam Tabacco (Essendon Royals), Chris Quirk (Knox City) and Enzo Inglesi (Brunswick Juventus) for the help they have provided in amending information. A special mention to John Punshon, who has helped immeasurably with the VPL validation process. South Australia: Club index pages have been included for all South Australian Premier League and State League clubs. There is only a divisional record for Adelaide City and West Adelaide at this stage, but match records and playing rosters for all clubs should begin to appear once the VPL initiative is completed. NSL: Divisional records for ALL clubs who have competed in the NSL have been included. The following clubs also have index pages: Adelaide United, Brisbane Strikers, Northern Spirit, Perth Glory and South Melbourne.